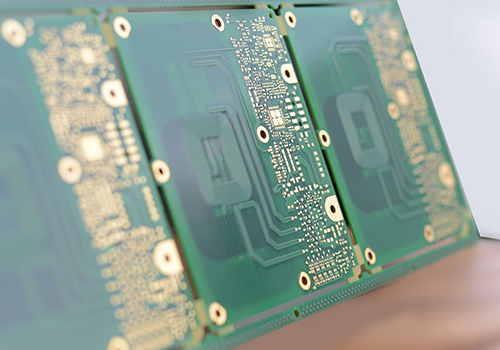 Driven by the miniaturization trends and the necessity to decrease the overall cost of electronic devices, integrating as many passive components, mainly resistors and capacitors into the PCBs has become a state-of the-art solution. Another category of such components are the embedded coils. Electromagnetic coil are components formed with an electrical conductor such as a wire wound in a shape of a coil, spiral or helix to create an inductor or electromagnet. It can be embedded in the PCB as a planar coil inductor. This technology is used for charging application such as wireless charging of cell phones and for measuring & control systems. The embedded coil is created by designing a copper track in a shape of a spiral on a PCB inner or outer layer. For a PCB manufacturer, it is challenging to etch this copper track with the required quality. The track width must be very accurate for example, with 70µm base copper, a track with a nominal width of 200µm should not be measured below 190µm on the PCB. 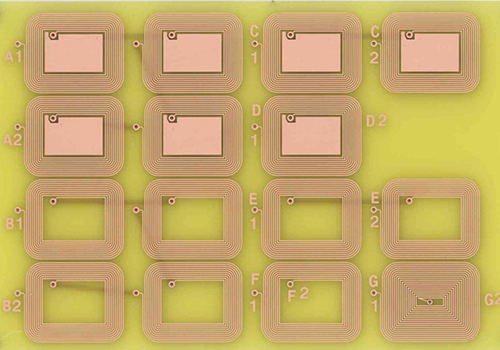 Also, the function of the coils needs to be guaranteed by the PCB manufacturer. Optical visual inspection such as AOI and the normal electrical test are not efficient to detect failures in the etched coils that can lead to malfunction in the assembled product. Therefore, each coil must be measured electrically by means of special measuring technology suitable for 100% control in mass production conditions. CML has built up with the support of their partners an excellent knowledge in this technology. The standard electrical testing machines have been upgraded with a specific software. This software offers individual testing programs (inductance and resistance value for each type of coil) and in combination with special 4-wire test fixture, we are able to control 100% of the coils in series production. The modified testing equipment can be used for various measurements: inductance, impedances, DC resistances. Today, several projects with embedded coils are successfully produced by CML in series production. Next PostCML Heads West for PCB West in Silicon Valley!